Google has made it clear through its “AI first” initiative that technological progress will not stop in the mobile age but take a new leap forward with artificial intelligence, as AI engines will allow people to do much more with their smartphones or electronic devices than is possible now. 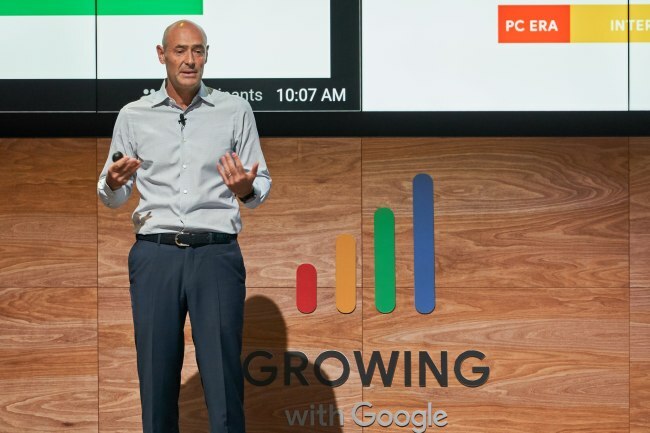 Though the common perception is that AI will mostly impact developed countries in the West where its roots lie, Google’s Asia-Pacific President Karim Temsamani said that on the contrary, much of the growth from the adoption of AI into mobile services will come from the Asia-Pacific region. Temsamani noted during a press conference organized by Google for the Asia-Pacific region on Thursday that most of the new users who are coming online today are from countries in Asia, such as India or Indonesia. And the way they access the internet is through mobile devices, where many businesses will be introducing and testing out their new AI-based products and services. Such considerations make the Asia-Pacific region an important area for companies joining the AI ecosystem of the near future, he said. “The insights companies are going to gain from this region, rather than insights from other parts of the world, are big. If they’re using the right tools, and AI in the right way, there’s a tremendous advantage compared to the rest of the world,” he said. Google's Thursday press meeting, attended by Temsamani and several other Google executives, outlined the benefits of the US tech giant's key platforms including Google Search, Android, Google Play, YouTube and Google Maps, and their impact on businesses based in the APAC region.